I do have a fitbit, and my target on that is 10,000 steps a day, which on some days is ridiculously hard to do. Naturally I managed somewhere between 5 and 6k a day, I have to go for walks / runs to hit my 10k, but most days I manage it. 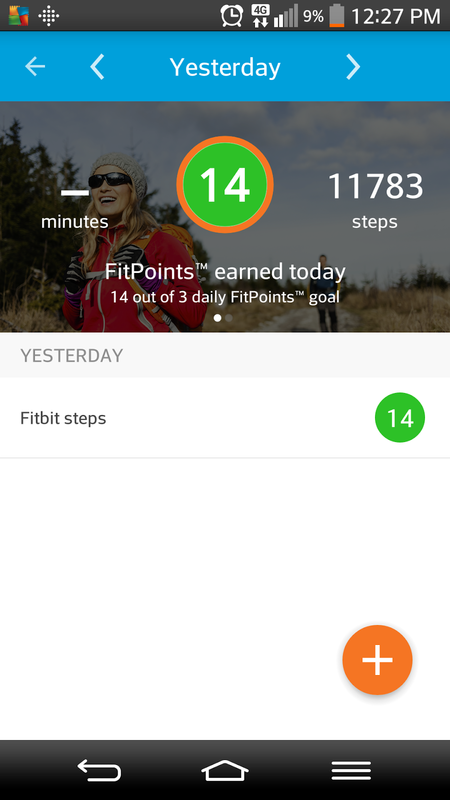 I adore how the fitbit is synced into the new app, it looks much better than how the old app did. This time it actually imports numbers! So I know if there is a time lag between the two. Brilliant, well done Weightwatchers! As I already said I get 31 daily SmartPoints and 42 Weekly points, this is pretty much the same as I get on propoints. I was on 32 daily ProPoints and I could only ever eat so many weeklies (as I have lamented about before, very jealous of those who could eat all points and manage a loss). It makes sense to me that the weekly points have been tailored to the individual. A blanket 49 was never going to work for everyone. 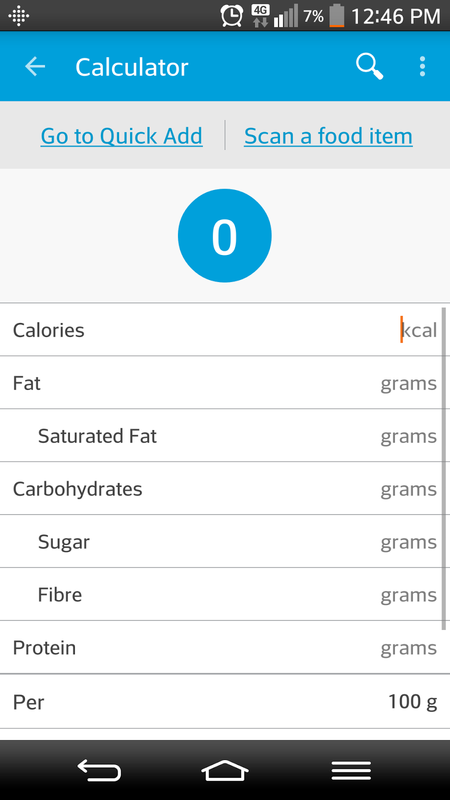 Here is a screenshot of the calculator on my app. 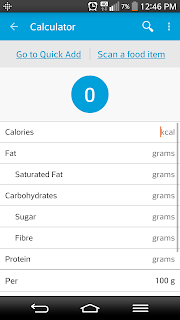 Okay, so now we factor in calories and saturated fat, I never did quite understand why we stopped doing that when we moved to ProPoints so I suppose I think this is a turn for the good. I loved the old discover plan, it is after all how I managed to shift the bulk of my weight. I like that this looks like it takes the best of discover and the best of ProPoints. I sometimes thought propoints would penalise healthy fats, so this change is addressing and fixing this. 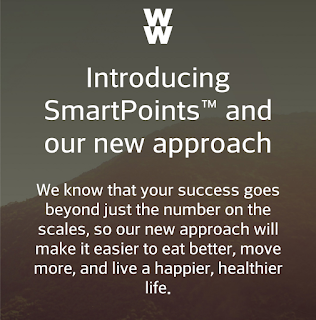 I love my technology, and it has saddened me that for everything Weightwatchers has done in the past, they only focused on the iphone leaving Android and other platforms as an afterthought. But now they have finally got a mobile site! Yay! Brilliant for when I need to delete the app temporarily to have more space on my phone, and great for those who aren't on the Android or Apple operating systems! I have tracked a little on it and it has been seamless, much faster than the android app. Which I am also overjoyed to have released at the same time as the Apple one! And it works! and it seems to have been designed with android in mind as opposed to being a dumbed down version of apple's. I am very impressed! It does seem a little buggy, but first releases on new apps are always like that and to be fair, it's been much worse in the past. 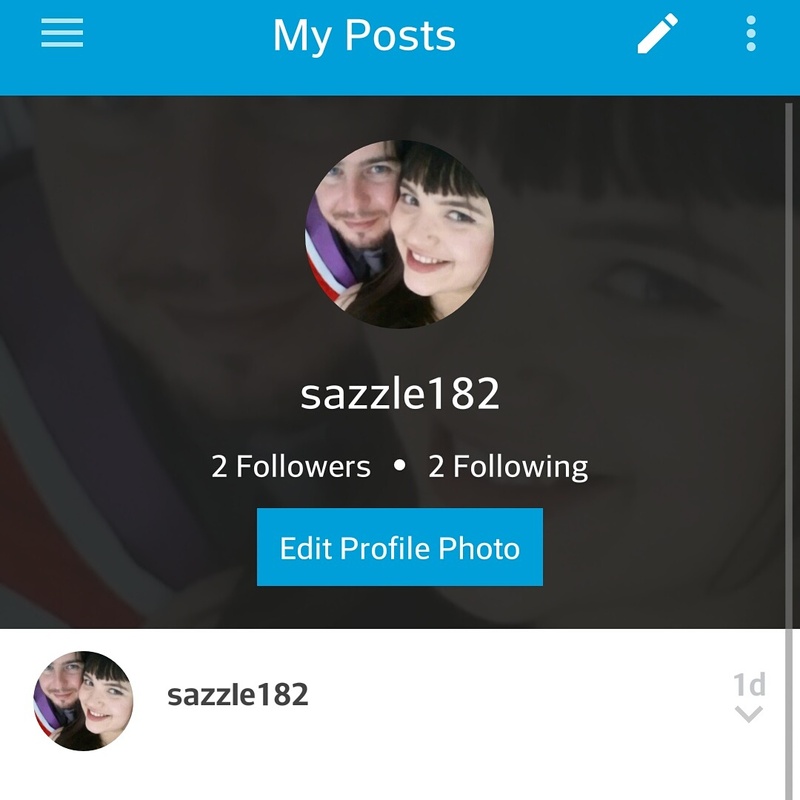 This is brilliant, it is essentially an internal Weightwatchers social media platform. It's available on the app (not on mobile or on the main site when I last checked) and is just a place to post updates, photos, and members of the community can 'heart' it or comment, it's quite similar to Instagram (which I love too). I just hope it's actually used! One bad point is that the landing screens is just 'trending posts', which haven't changed in the first few days, probably because people don't know how to search and so only heart or comment on the trending posts therefore making them stay there. I'd like a search feature to search tags and discover some people. I presume / hope that will be happening shortly. I suppose really I need to have my first weigh in to be able to give an overall thought on it, but I want my first weigh in to be a different post. Food wise, I suppose the biggest change I see is in all my treats, which always turn into snacks to me. A Weightwatchers summer fruit yogurt has went up to 2 SmartPoints. A Bounty Bar 14 SmartPoints (57g). My bottle of dry white wine is now 20 SmartPoints (which is probably the best value treat). Quavers are 3 SmartPoints (17g). Skimmed Milk has went to 2 SmartPoints (142ml) I only use milk in cereal so with my cereal of choice as shredded wheat - now 5 SmartPoints for two. 200g raw potato is 5 SmartPoints. and of course most fruit and vegetables are still 0, so it isn't all change either. I think I am going to make up a quick list of branded foods and have them on one of the tabs for ease / reference. I have noticed online there seem to be a lot of people not happy with the new plan, annoyed that they have so many magazines and books on the old system. I get that people are resistant to change. I was with propoints, but we get used to it. The way I look at it is that recipes are recipes. With my old pointed books, when propoints came in, I just pro-pointed the recipe when I came to use it and wrote it my the title, I'll just do the same again, same as when I get a recipe from BBC good food or from a friend on some dieting group. And how in my baking notepad I just point my own recipes, so I know just how much exercise I need to do for a slice of my snickers cake. The redesign of the website I love too, there are distinct sections for food, fitness and well-being and I love having a browse through this, I really hope is gets updated regularly! Here’s the secret to success: Be kind to yourself. Perfection is over-rated. It's so true! and not enough Weightwatchers I come across are kind to themselves. 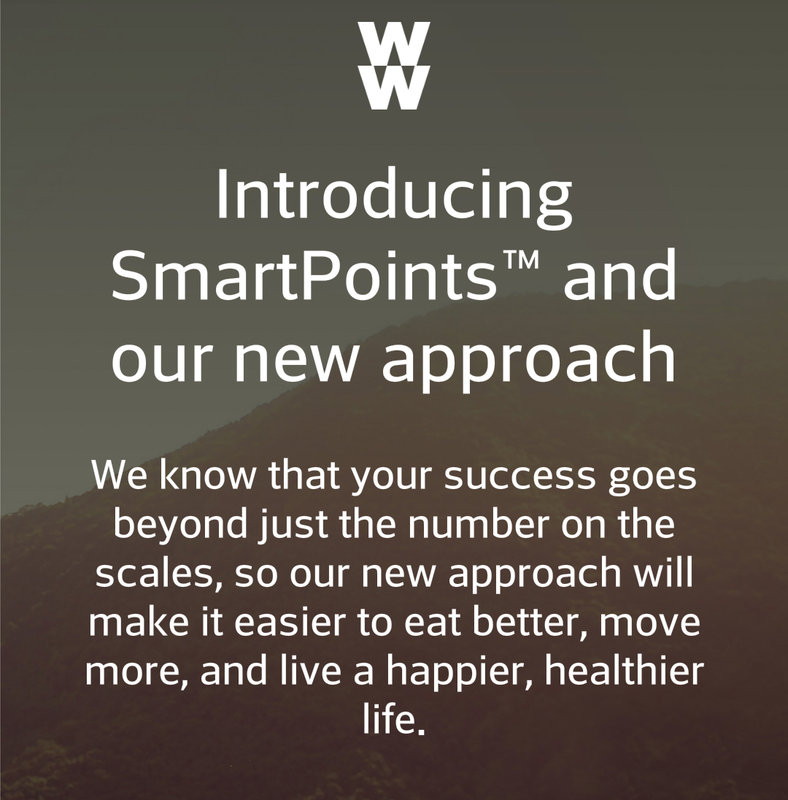 There's way more to you than just a scale and I love that Weightwatchers are embracing this.